We have gone through a lot of playdough since E was old enough to play with it! In an effort to save money, I tried a few different recipes to make our own. After tweeking it here and there and A LOT of cream of tartar later, I found what works best for us! We love store bought playdough too, but it has been fun to make our own and add different scents. Although it is non-toxic, I definitely don't let the kids eat it, I would suggest you do the same! This recipe will make three separate doughs. 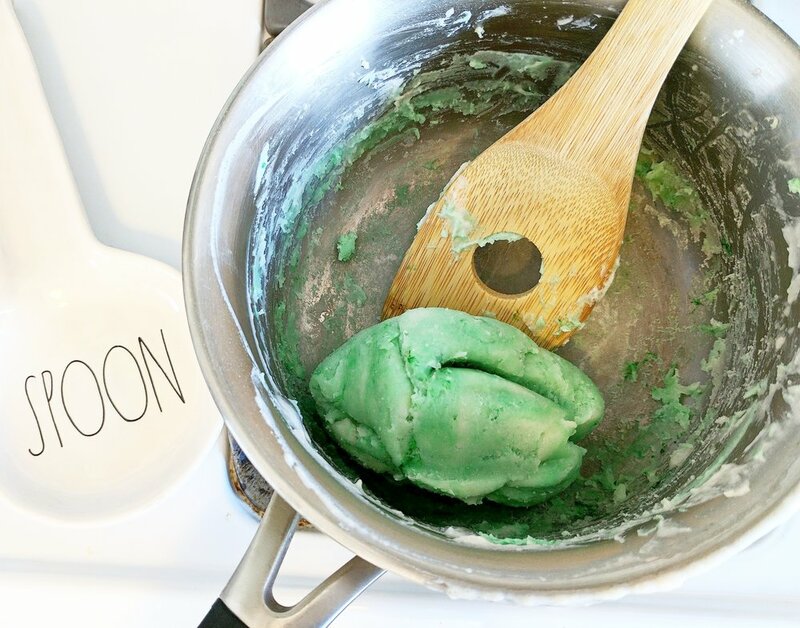 If desired, you can skip step two and make one large batch of playdough! Have fun playing with your dough! We love these three scents and colors! We plan to try some more fall-themed dough soon, stay tuned!